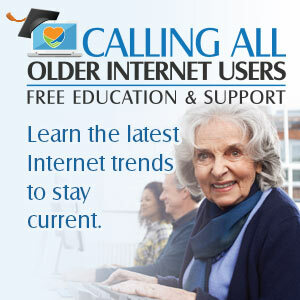 Calling All Older Internet Users. Workshop #1. We recently hosted a six part workshop to help seniors learn more about the Internet. During the workshop we videotaped each of the six presentations made by Jim Courtney, our workshop instructor. Over the next 6 weeks, we will feature one of the workshop videos on our site. Overview. What does it take? Devices, The Network, The Cloud. Click on the video below to watch Workshop #1.